In the 60’s, a scientist called Doctor Leonard Hayflick (Wistar Institute, Philadelphia) carefully characterized the serial cultivation of primary human fibroblast cell by demonstrating that primary human cell strains have a limited replicative lifespan or «doubling potential», restricted to 40-50 divisions. This finding led to the hypothesis that oxidative damage could be partially responsible for limiting in vitro lifespan, consistent with the free radical hypothesis of aging. We now know that senescence in response to repeated passage occurs because of critical shortening of the telomeres. The Hayflick theory has been greatly reconsidered by the observations from the INSERM group of Dr Barlovatz-Meimon published in 2003 in Paris regarding in vivo (i.e. on the patient himself) cell growth. These studies hypothesized that the fibroblasts may reach a 2 to 3 log growth, meaning that they could potentially undergo up to 500 to 5’000 cell divisions. Our GMP class II and III medical devices fully guarantee the patient’s safety because they are non-pyrogenic. Moreover, our manufacture process respects a full compliance with the new European Medical Device Regulation (MDR) June 2017, FDA (USA), and CFDA Regulations. 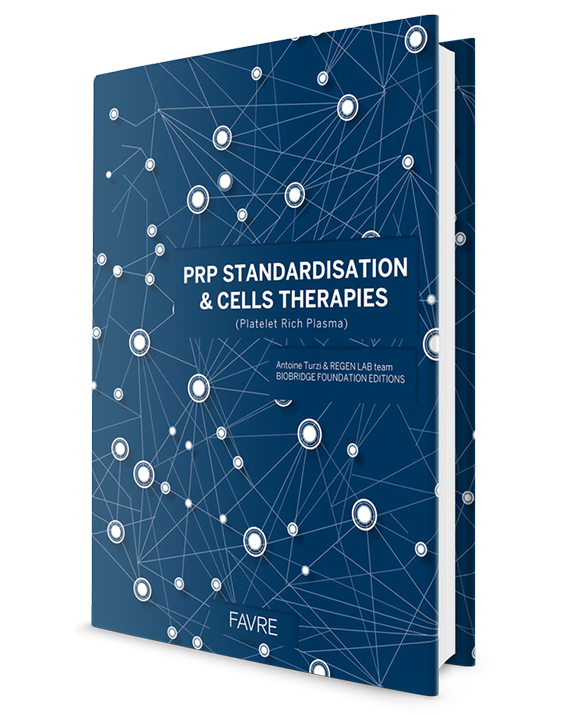 For all these reasons, we believe that we bring to the medical community a powerful and reliable tool to standardize PRP preparations and thus future cell therapy clinical outcomes.